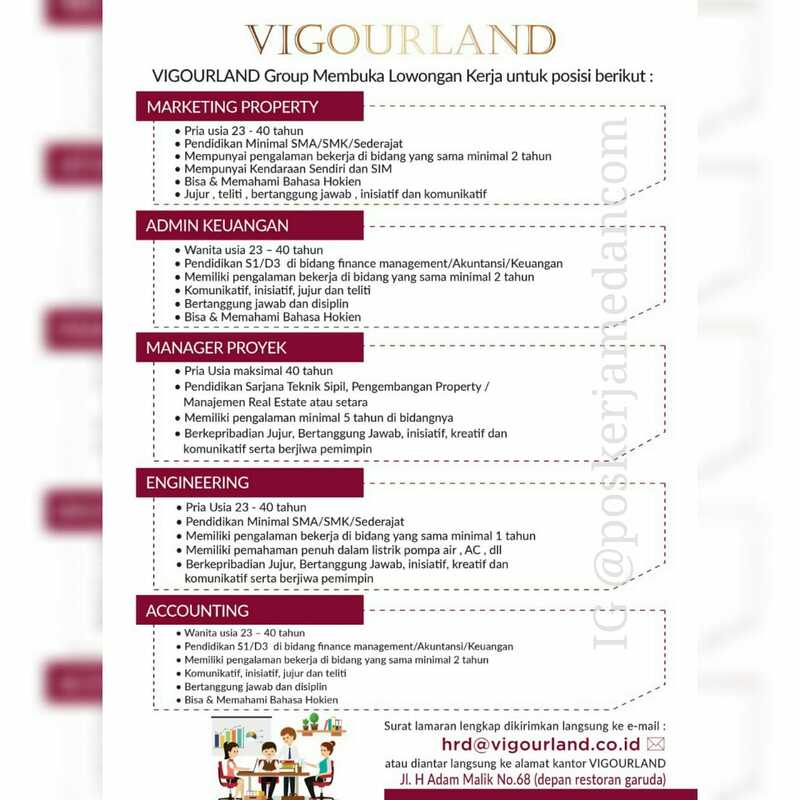 POSKERJAMEDAN - Lowongan Kerja Medan di Vigourland Group, traces its roots back to 2005 in Medan Indonesia and since then have never looked back. With thousands of successful projects under our belt, we can proudly say that we are one. 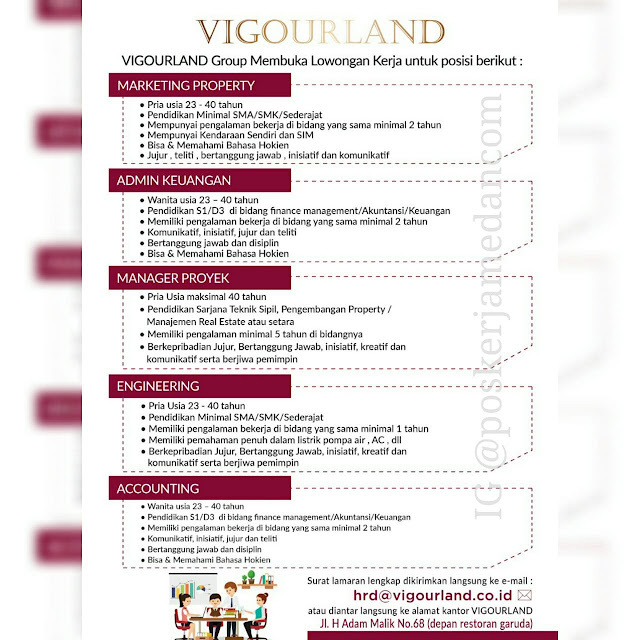 For more than 10 years, Vigourland has offered a wide range of property development in Medan, many other cities of Indonesia and around the world. We strive to maintain. We aim to eliminate the task of dividing your project between different architecture and construction company.